A new study has found CBD extract may be able to provide support for those diagnosed with autism. Many researchers attribute the symptoms of Autism Spectrum Disorder (ASD), which include problems in communication, odd social interactions, restricted or repetitive movements, to reduced inhibition in the brain. 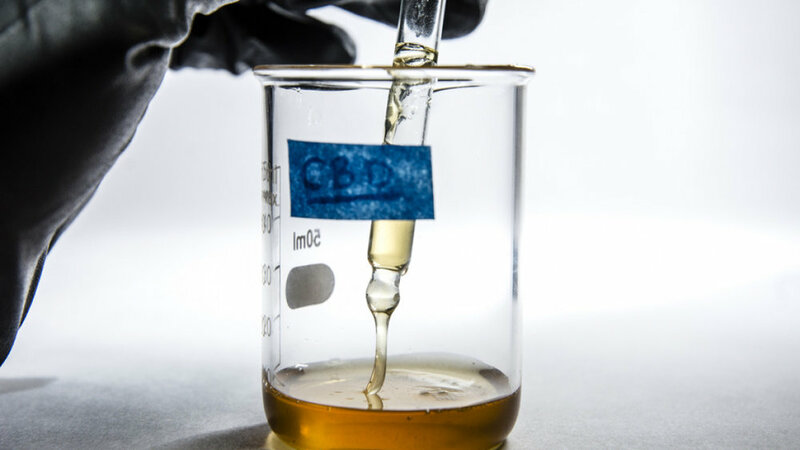 Now, in a breakthrough study, a team of researchers from the University of Washington has sought to use CBD as a way of restoring inhibition in the brain. Scientists used a genetic mouse model, in which the genes have been mutated in order to produce the symptoms of Dravet Syndrome, which includes inducing spontaneous seizures and exhibiting autism-like behaviors, to determine the effects of CBD on autism, specifically. In the model, mice were offered a choice between interacting with other mice or objects. While mice would usually prefer to spend time with other mice, the autistic-like mice usually have no preference and will split their time equally between the two. Upon receiving small amounts of CBD (about 10-20% of the anti-epileptic dose), the autistic-like mice significantly increased the amount of time they spent with other mice. Additionally, CBD reduced the urge autistic-like mice felt in escaping these social situations, and they exhibited improved performance in regards to the quality of their social interactions. To understand these results, the researchers recorded electrical signals within the brains of the individual mice. They found CBD blocked the brain receptor GPR55 from interfering with how the brain cells communicated, thereby restoring balance and brain inhibition. The next steps will involve breaking down the barriers that exist as a result of cannabis’ Schedule I status so that researchers can test the effects of CBD on autism in large-scale human models. This information has been provided by Civilized and approved by our Chief Medical Officer. Discussing the Health Benefits of Marijuana - Part 3. It is now time to conclude our discussion of the health benefits of medical marijuana in the third post of our series. While medical marijuana is know for its internal benefits, it can also benefit the body topically as well. Cannabinoids like THC and CBD have antioxidant properties that make them able to protect the body from oxidative stress, and thereby prevent skin damage and aging. Through vaping or using topical applications, medical marijuana can provide various skin benefits. There are now a wide range of products available to help women relieve the aches and pains that come along with menstruation. There aren’t many studies regarding cannabis and menstruation specifically, but women have been attesting to the benefits of the plant, and studies have found cannabis reduces nausea, relieves pain, and reduces muscle spasms, suggesting it could have powerful benefits for the symptoms that coincide with periods. Marijuana has often been associated with unhealthy habits like increasing appetite and falling for cravings known as the “munchies.” Contrary to the belief that marijuana may cause weight gain, it may actually do the opposite and help users maintain a healthy weight. In one study, 13,000 adults who used marijuana consistently had smaller waists and 3% lower BMI than those who abstained, even in spite of their higher caloric consumption. Some researchers suggest marijuana may produce these results by helping our bodies digest blood sugar more quickly and efficiently. Marijuana may also help relieve the digestive system of disorders like irritable bowel syndrome (IBS). This may be because marijuana can interact with the endocannabinoid system, which in turn can help treat the condition and control the movement of food within the gut. This information has been provided by Leaf Science and approved by our Chief Medical Officer, and this concludes our post on the many ways marijuana may contribute to better overall health. Discussing the Health Benefits of Marijuana - Part 2. In our last post, we began our discussion of the different health benefits of medical marijuana, but let’s continue and discover more ways the plant can enhance one’s life. Although medical marijuana has garnered the reputation as a gateway drug by prohibitionists and anti-marijuana activists, studies have shown marijuana can actually help ween people off of those harmful and addictive substances. One study from 2009 found people used marijuana as a replacement for alcohol, prescription, and illegal drugs, mostly due to the fact that marijuana effectively manages health issues while producing few adverse side effects, and leaving little risk for withdrawal symptoms. This is an especially important benefit in light of the opioid epidemic currently ravaging the country. Not only is marijuana a healthy alternative to harmful substances like cigarettes, but it may even benefit the lungs and improve lung capacity. One study from the Journal of the American Medical Association involving 5000 participants over the course of 20 years linked marijuana users with a higher overall lung capacity than non-users. Additionally, marijuana’s ability to act as a bronchodilator makes it a powerful tool for asthma sufferers. Medical marijuana also acts as a sleep aid for those who suffer with insomnia or other sleep disorders. Studies have found THC reduces the time it needed to fall asleep in healthy volunteers and insomniacs, so consuming marijuana prior to sleeping can help induce sleep. That said, some studies suggest cannabis can interfere with the deeper stages of sleep where dreaming occurs, known as REM sleep. Another use for medical marijuana is in enhancing sexual health. One study from 2017 found small doses of marijuana increases sexual drive and libido, and consumers report it increases orgasms and sexual enjoyment. That said, consumers shouldn’t go overboard: some studies have linked heavy long-term use to negative side effects like lack of sexual interest, erectile dysfunction, and reduced testosterone levels. 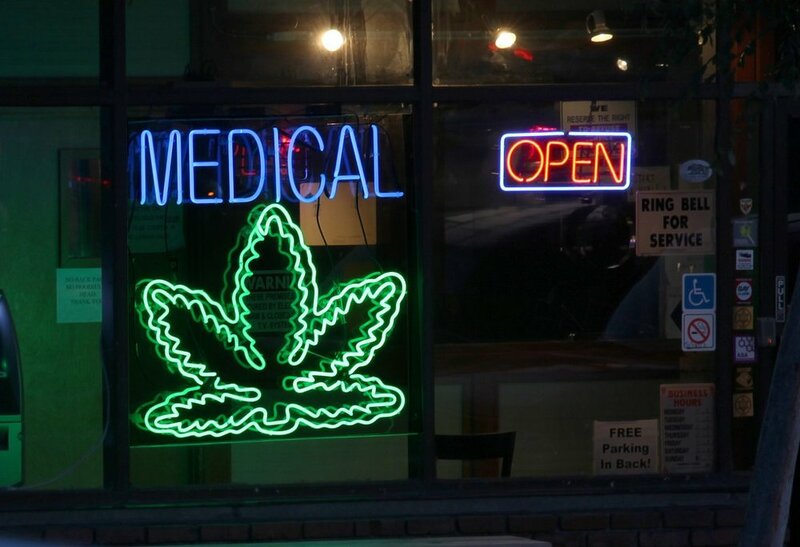 Stay tuned for the third and final installment of our discussion on the overall health benefits of medical marijuana. This information has been provided by Leaf Science and approved by our Chief Medical Officer. Discussing the Health Benefits of Marijuana - Part 1. As research surrounding medical marijuana increases, we are becoming more aware of the various conditions it is capable of treating. Additionally, medical marijuana can provide a myriad of health benefits to contribute to an improved quality of daily life. In this three part series, we will discuss the many ways medical marijuana can therapeutically enhance one’s health. One of the ways medical marijuana is therapeutically beneficial is through its ability to reduce stress and anxiety. 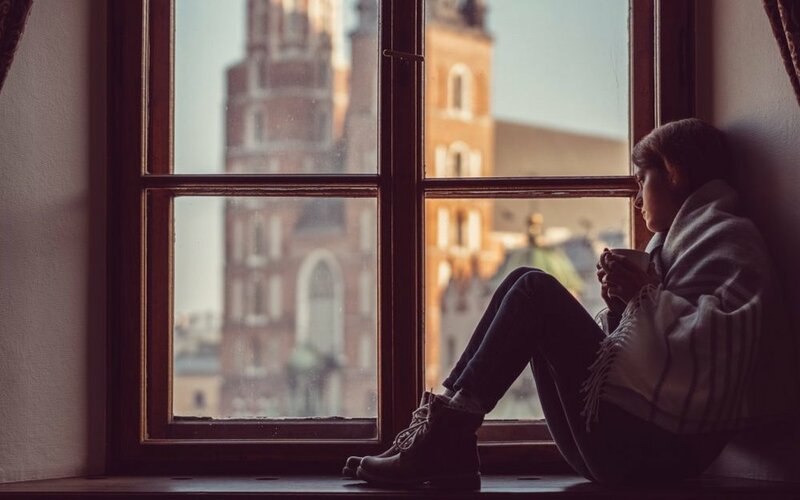 Although THC can increase anxiety under certain circumstances, new evidence suggests medical marijuana can actually relieve stress. In our previous post, we discussed how medical marijuana provided stress relief and buffered against heightened levels of cortisol in stressful situations. Another study from Canada found 40% of medical marijuana patients prescribed benzodiazepines for anxiety were able to cease use of their pharmaceutical medications within 90 days of beginning a cannabis regimen. Medical marijuana can also enhance one’s mood by increasing the release of dopamine neurons in the pleasure center of the brain. Follow up with our next post, where we will continue our discussion of how medical marijuana can provide therapeutic health benefits in different aspects of one’s life. This information has been provided by Leaf Science and approved by our Chief Medical Officer. A new study published in Psychopharmacology has found regular cannabis use can, over time, reduce the risk of anxiety and blunt stress responses in stressful situations, including when a person is sober. In the study, which involved 40 regular cannabis users and 42 people who had little to no experience with cannabis, non-cannabis users reported feeling anxious and exhibited high levels of cortisol in stressful scenarios, while cannabis users reported less anxiety, and exhibited no change in cortisol levels. Prior to the study, all participants abstained from use for 12-18 hours. Results also found that patients did not exhibit heightened cannabis cravings when stressed. Co-author, researcher, and clinical assistant professor at Washington State University explains, “Based on our findings, the potential effects of cannabis on stress do appear to extend beyond the period of intoxication… But we’re not yet comfortable saying whether that muted stress response is a good thing or a bad thing.” Both too much and too little cortisol can prove problematic, with too much resulting in negative side effects and leading to various conditions, and too little preventing a person from producing an appropriate stress response. More research is necessary in order to determine whether reduced cortisol levels are beneficial or detrimental. Learn more about this study by reading this article on Leafly. This information has been reviewed and approved by our Chief Medical Officer.